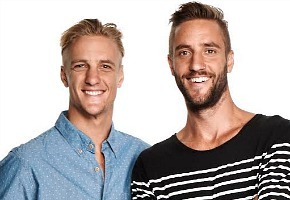 Seven’s night of Reality with X Factor and Amazing Race was not enough to stop Nine’s duo of The Block and House Husbands. Nine won all its slots from 6-9:30pm. Nine network won the night with 31.1% then Seven 28.5%, ABC 19.6%, TEN 16.3% and SBS 4.5%. The Block topped the night with 1.23m viewers for Nine then Nine News (1.23m / 1.16m), A Current Affair (1.06m), House Husbands (902,000), Hot Seat (659,000). Extraordinary Lives was 249,000 and Footy Classifed was 229,000 in 3 cities. X Factor sent home Trill to the tune of 1.11m for Seven. Next were Seven News (1.09m / 1.07m), Home and Away (958,000), The Amazing Race: Aus v NZ (655,000), Million Dollar Minute (592,000). The Goldbergs was 309,000, Brynne: My Bedazzled Diary was only 122,000 and Talking Footy was just 39,000 in 3 cities (109,000 on 7mate). Australian Story (859,000) pipped ABC News (821,000) as viewers looked for alternatives. 7:30 was 756,000, then Four Corners (660,000), Media Watch (632,000) and Q & A (570,000). TEN could not rise above TEN Eyewitness News (684,000). The Project was 635,000 / 482,000, David Attenborough’s Natural Curiosities was 527,000 / 480,000, Have You Been Paying Attention? was 440,000 and NCIS: LA was 252,000. On SBS ONE it was Michael Mosley (221,000), Mythbusters (172,000), Legally Brown (171,000) and SBS World News (126,000). Neighbours topped multichannels at 302,000. I forgot about PVRing TAR because of the change in time from last week.